Having class never goes out of style. Today is my Grandmother Catherine’s birthday and she would have been 93 years young. I was fortunate to have my grandparents live with our family when I was younger and through those years, she tried to instill onto me that a lady must keep her poise and class in any situation. You see, my grandmother was a socialist and she was the epitome of perfection. 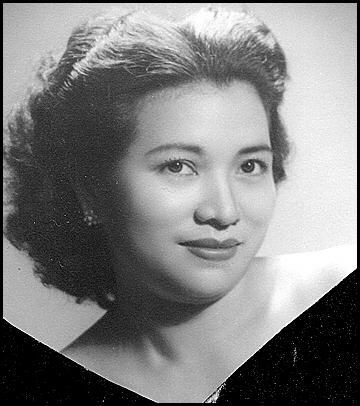 She sang beautifully, was an astounding pianist, highly educated (especially for a woman in the 1930s) and had a wardrobe and jewelry collection to die for (think vintage emerald broaches, jade hair pins, gemstone chandelier earrings, white fur shawl, and shoes to give Imeda Marcos a run for her money). One of my favorite photos of my classy grandmother in her younger years. You don’t have to be born nor raised in the high society settings because class is not discriminatory (despite what some New York Upper East siders may think). Google “class” you’ll get a definition of “impressive stylishness in appearance or behavior.” My interpretation of this is a person that carries themselves in a dignified manner and rising over the ignorance. I’ll be the first to admit that I am no saint and there were decisions in my life that have shown classless acts. But what I’ve learned is that it doesn’t get you to the top but if you do get there, you don’t stay up there for long. Whether it’s lashing out at the guy that shoved you in the subway (a norm for me in NY), the people that talk badly about you to others, or the people that take their frustration or anger out on you – take the higher route. It’s true that we all make mistakes and (hopefully) we learn from those mistakes but think before your act and realize how it’ll affect you and those around you. 1) You are the in control of your actions. Recognize the consequence. 2) If you lose your cool and lash out, you’re the only one looking like the idiot. Natural reactions are normal, but being over dramatic is classless. 3) Life happens. Bad things do happen to good people and vice versa. Stop playing the ‘Why Me?’ game and start taking responsibilities for actions, good or bad. Have a wonderful week everyone! It’s Valentine’s Day ‘Week’ so eat up all the chocolates you can and don’t forget to love yourself and then others.